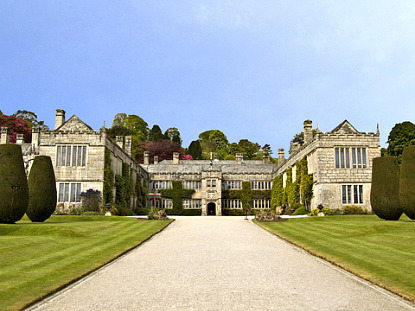 Set in a superb 364-hectare park between Bodmin and the River Fowey, Lanhydrock House is one of the greatest late-Victorian country houses in England. In 1881, the original 16th-century manor was destroyed by a fire and rebuilt with all the modern comfort of the time, including central heating and all the most up-to-date kitchen utensils. The 17th-century Gatehouse and North Wing, have survived the conflagration, including the 32m Long Gallery with its artistic plaster scenes from the Old Testament. The house is open between 27 March and 31 Oct, from 11am to 5:30pm (until 5pm in October). It is closed on Mondays. Admission is £7.50 for adults, £3.75 for children or £18.75 for a family ticket. The garden are open daily all year round from 10am to 6pm. Entry costs £4.20 for adults and £2.10 for children. 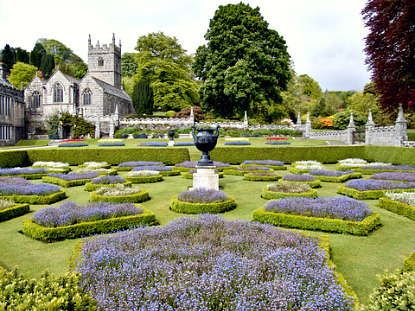 Lanhydrock House is 4km southeast of Bodmin. Bus No 55 and DAC Coaches 269 (St Austell-Callington) both stop at Bodmin Parkway, 3km from the house. By car, the house can be accessed from the A30/A38 (Bodmin-Liskeard) or B3268 (Bodmin-Lostwithiel) roads.